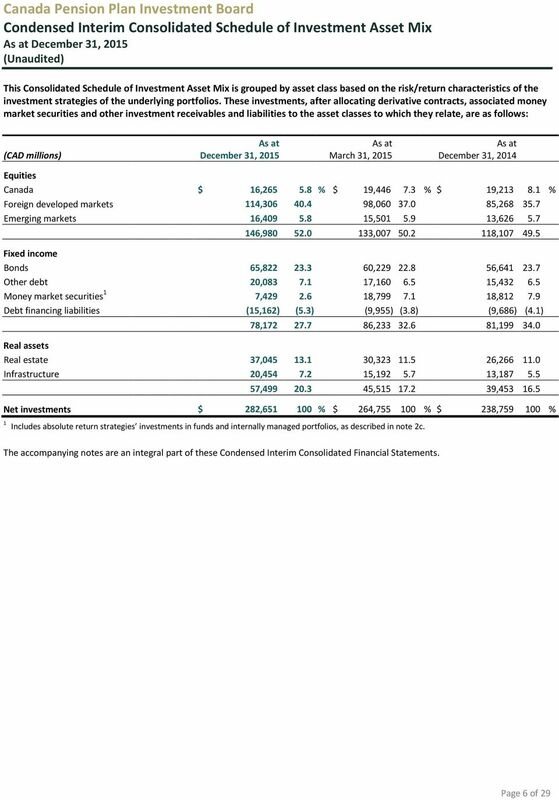 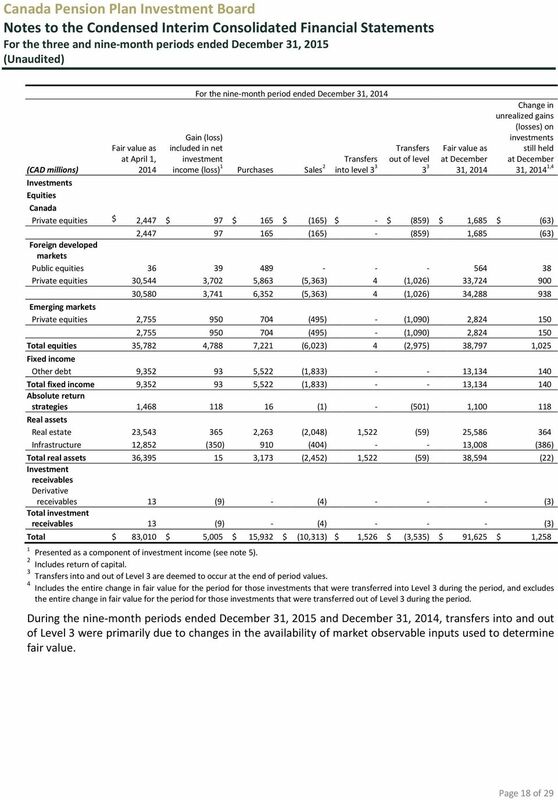 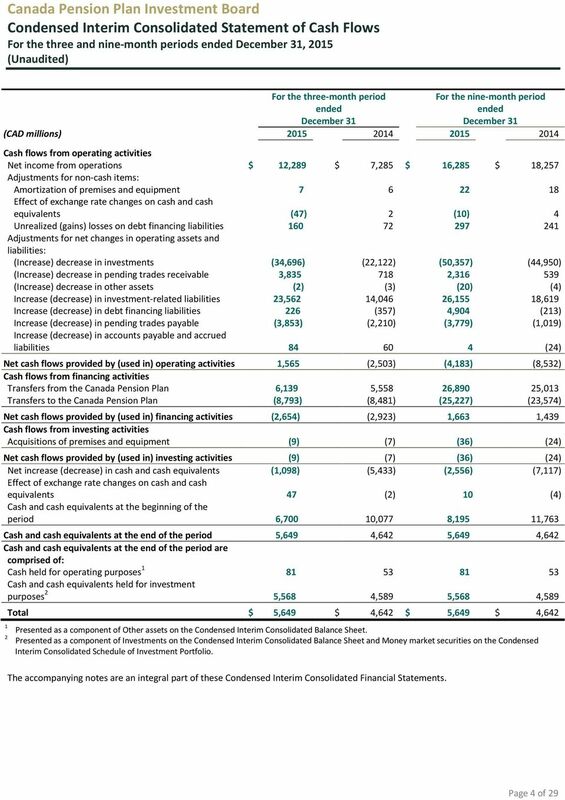 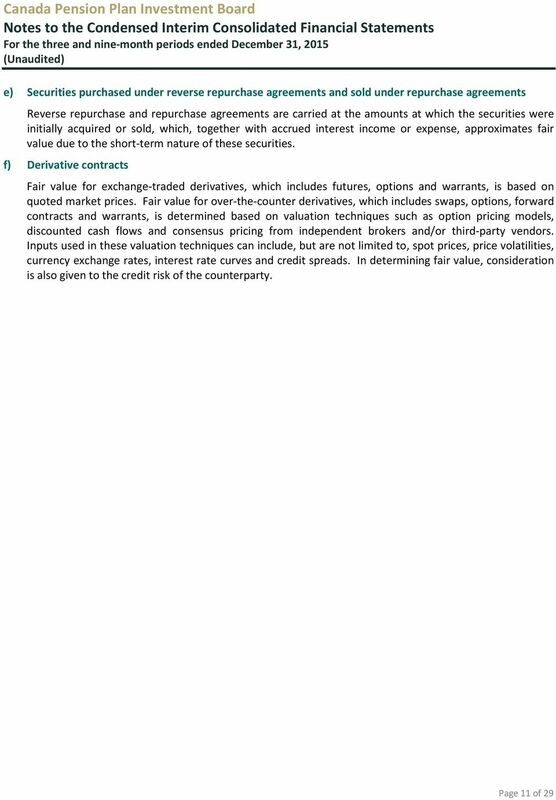 Download "Condensed Interim Consolidated Financial Statements of. 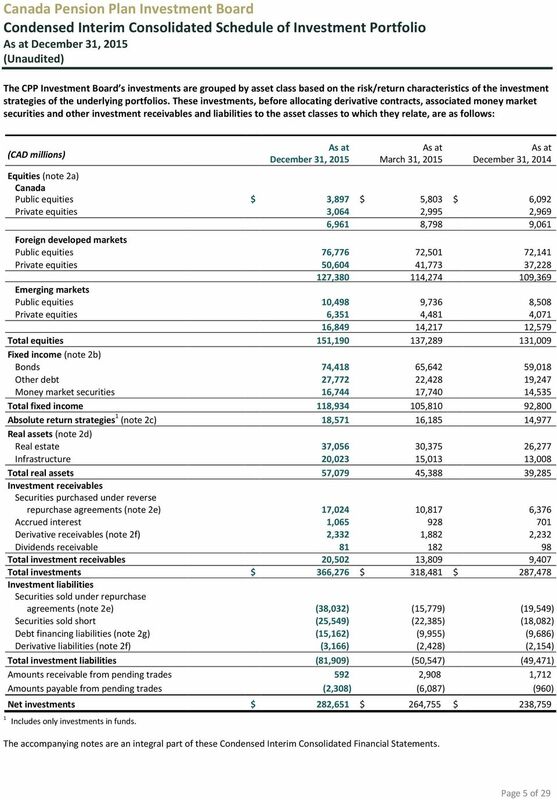 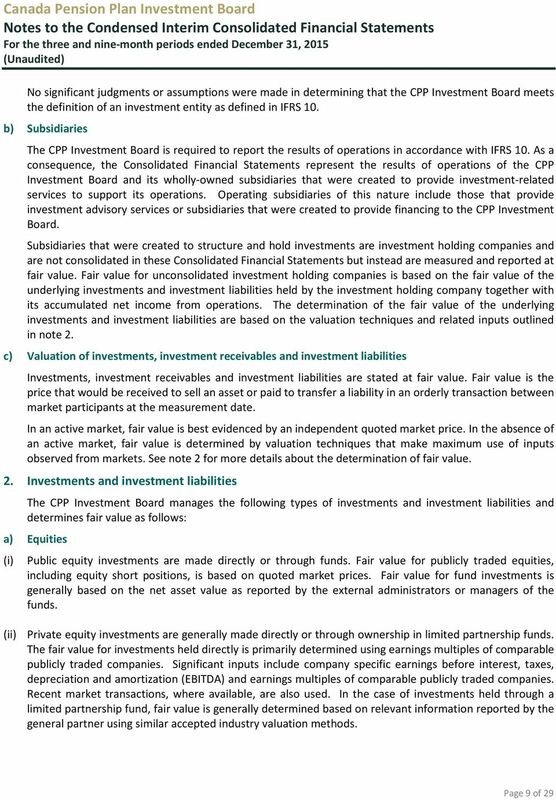 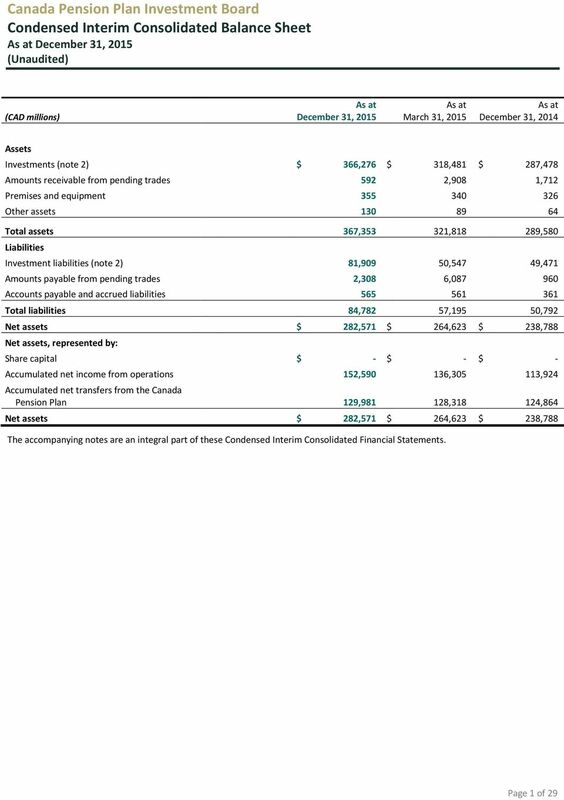 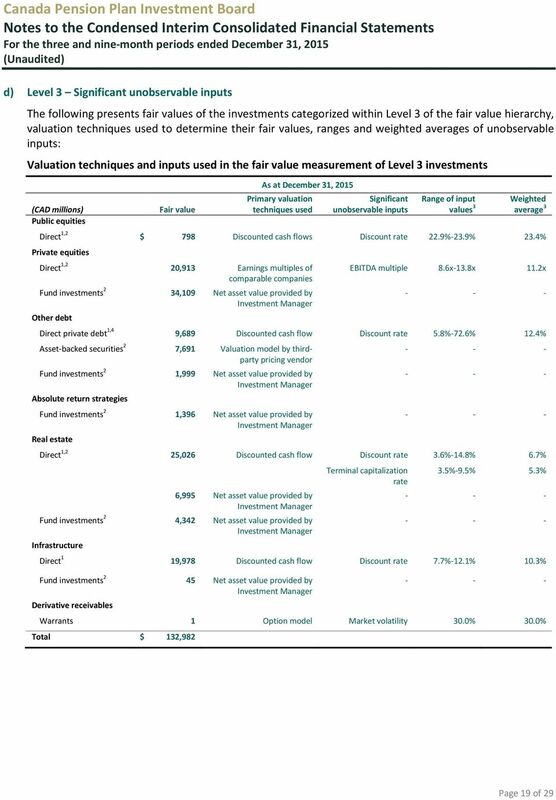 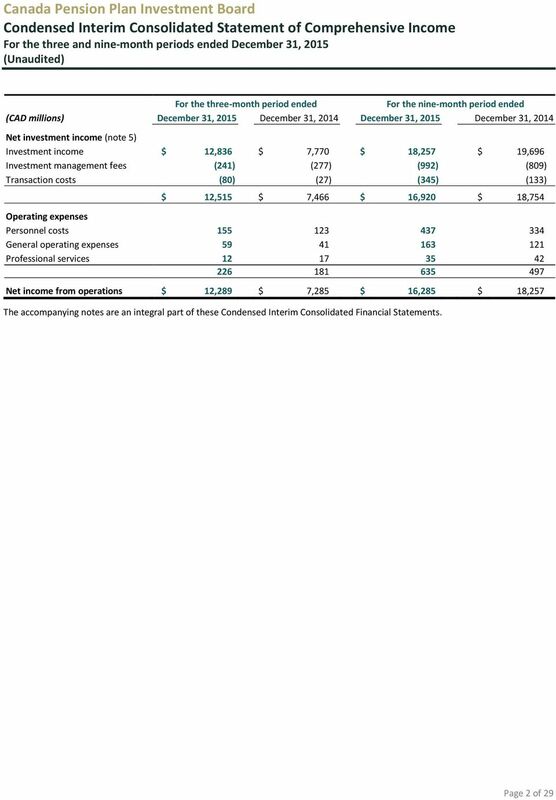 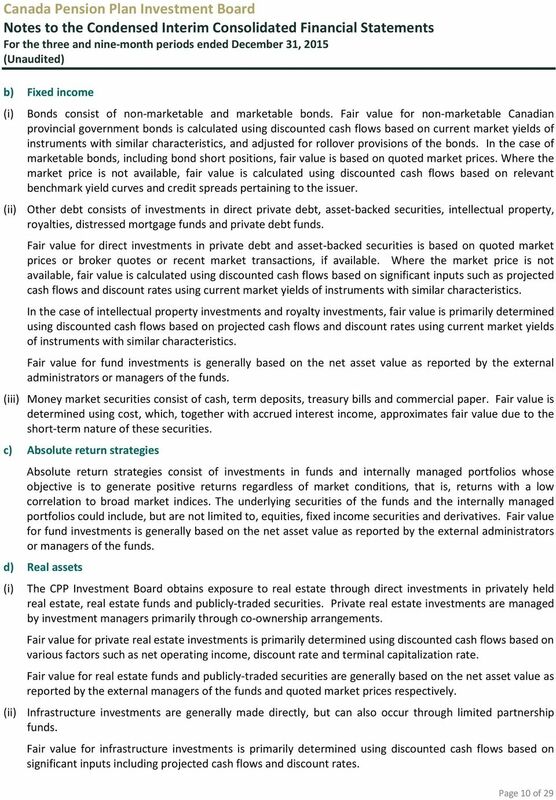 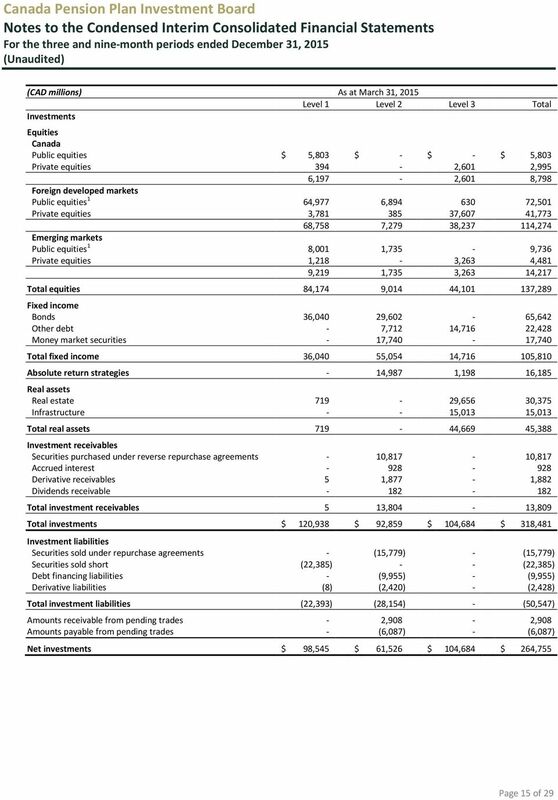 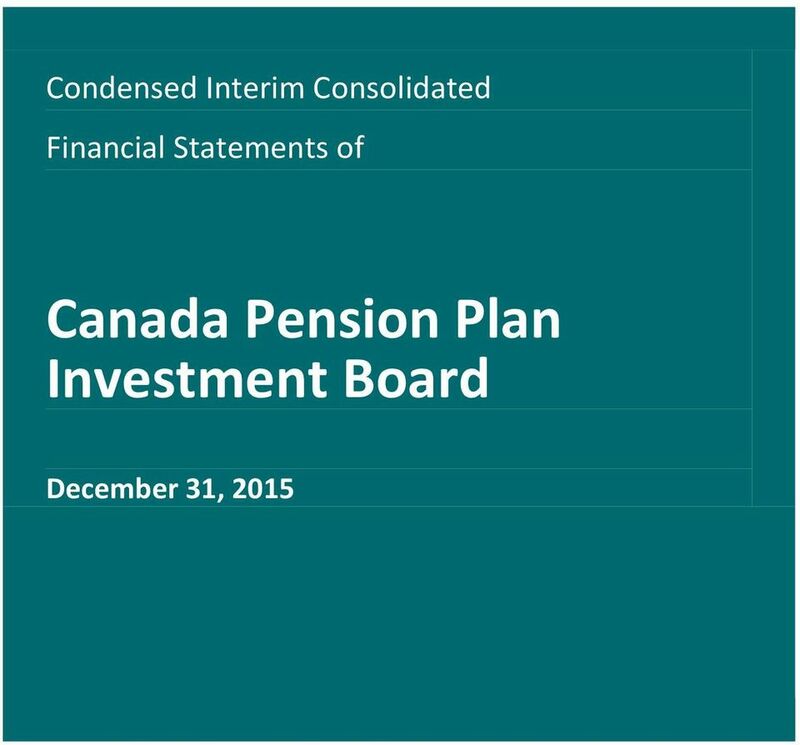 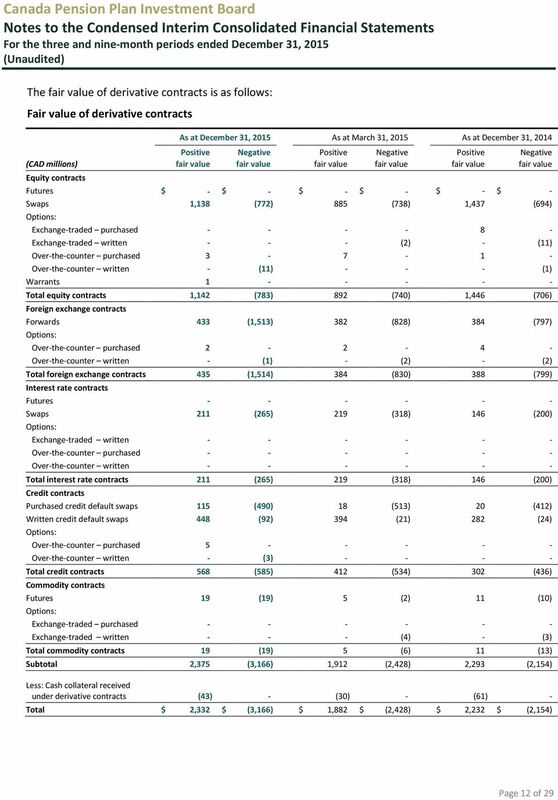 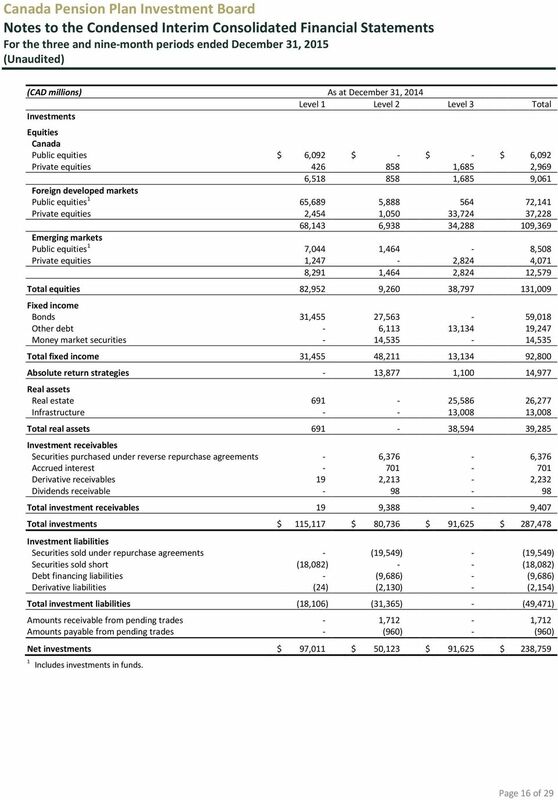 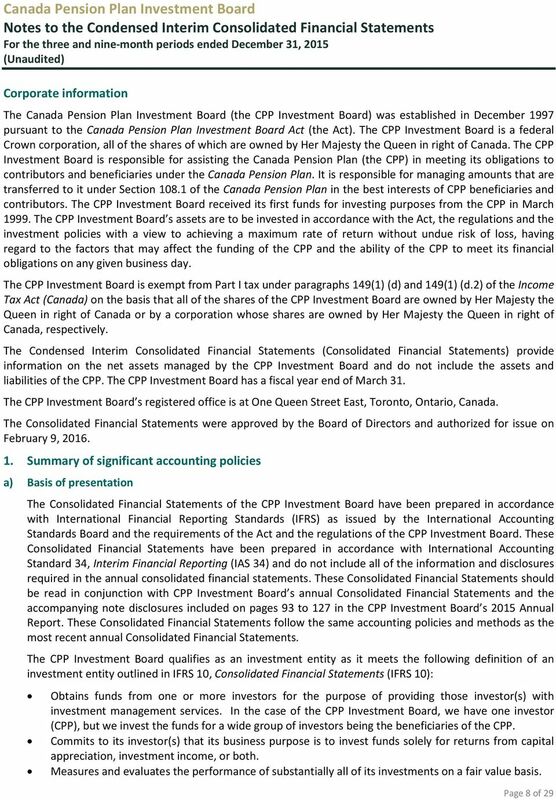 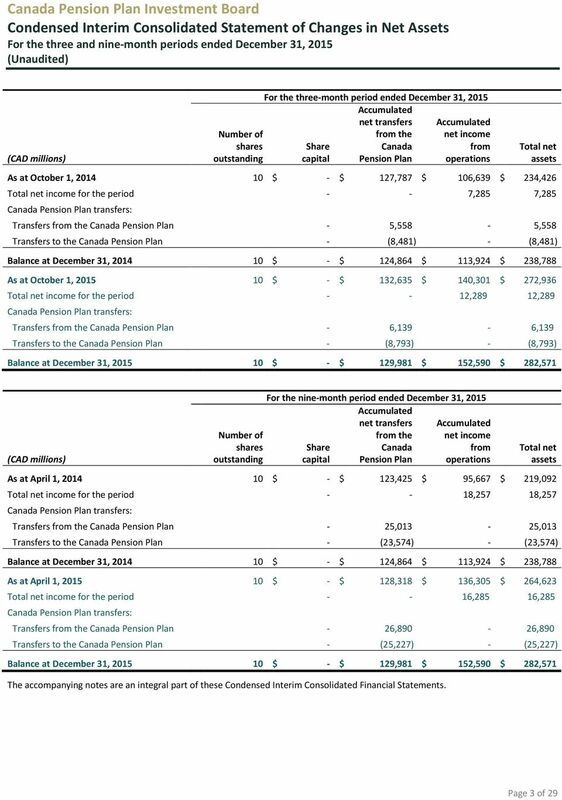 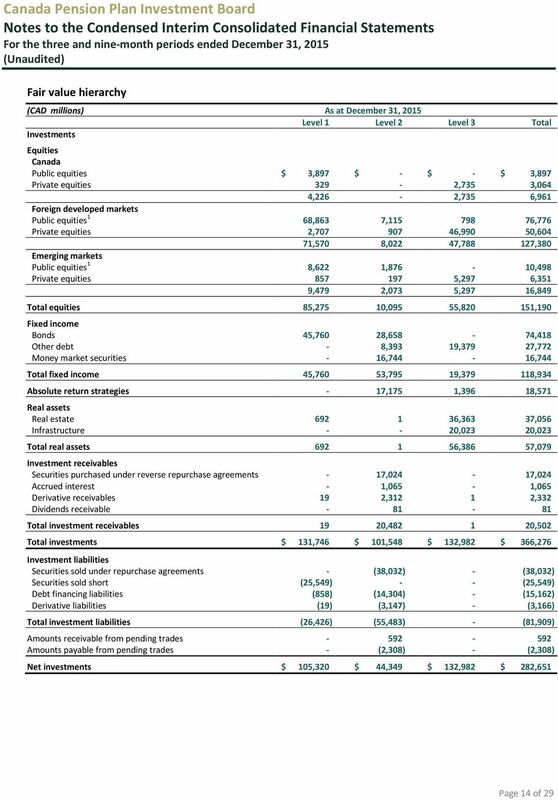 Canada Pension Plan Investment Board"
CONDENSED INTERIM CONSOLIDATED FINANCIAL STATEMENTS FOR THE THREE AND NINE MONTH PERIODS ENDED SEPTEMBER 30, 2013 AND 2012.
previous version of the Handbook). 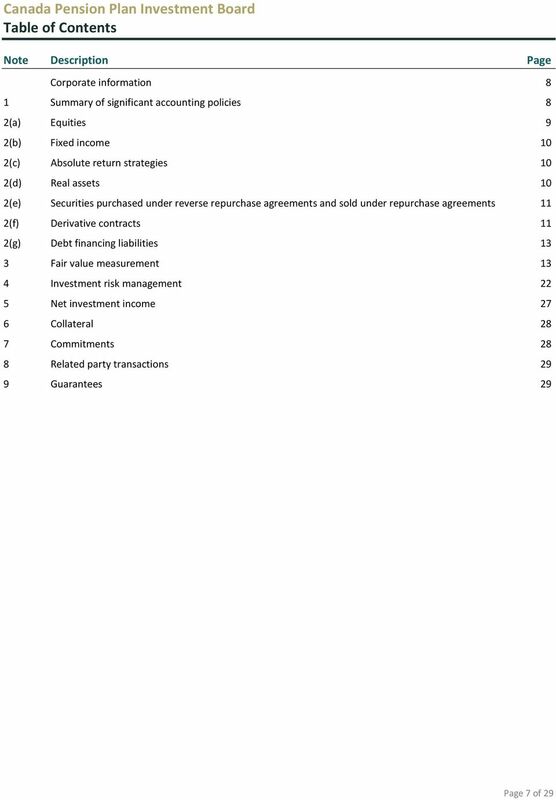 The Handbook applies to pension plan financial statements for fiscal years beginning on or after January 1, 2011. 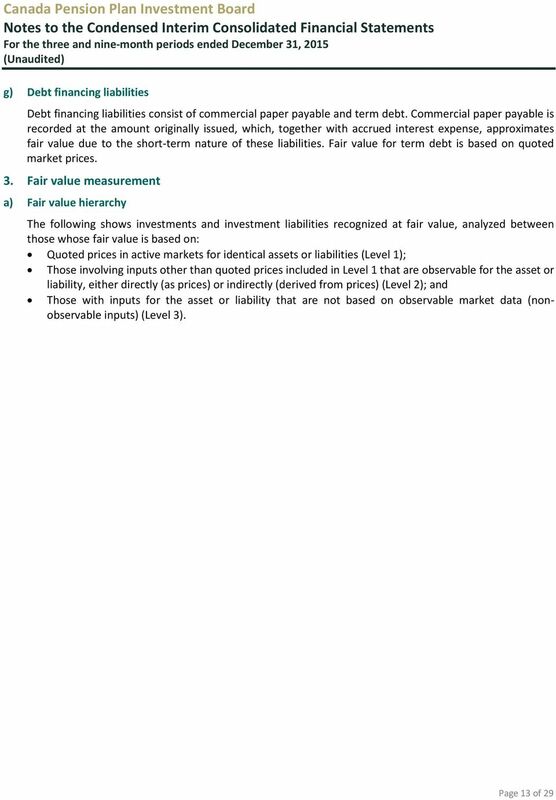 The transfer between levels of hierarchy (i.e., from Level 2 to Level 1) in 2010 was due to the listing of the SMC shares in December 2010.